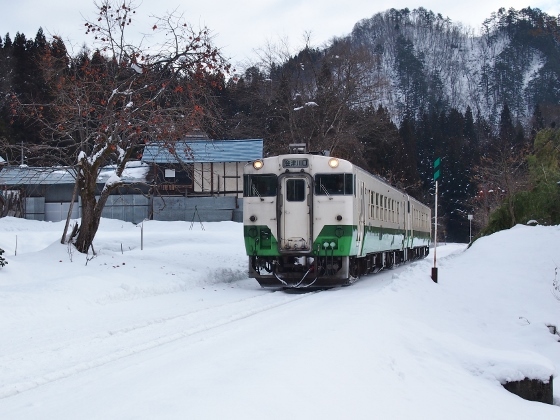 Today I left Hayato Onsen early in the morning and took a train to Aizumiyashita Station which was located in the center of Mishima Town. 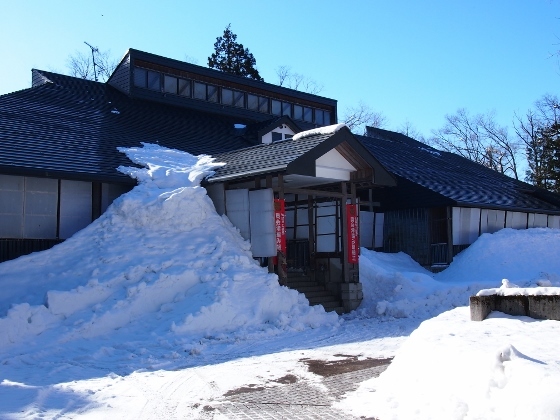 And then I walked to the next Aizunishikata Station and then visited Seikatsukougeikan which meant traditional handmade craft museum of Mishima Town. 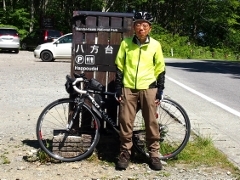 The route data this time was only up to Aizunishikata Station due to GPS battery exhaustion. 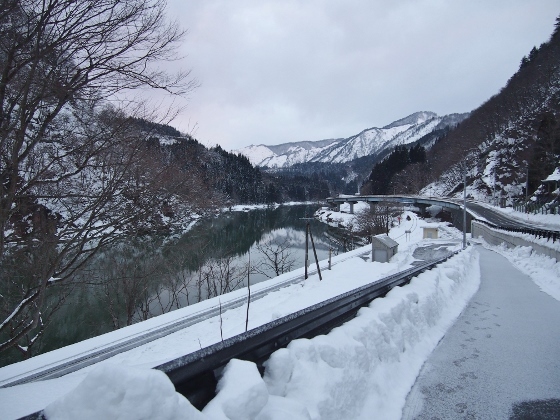 The pictures above show views from Hayato Station in the early morning. 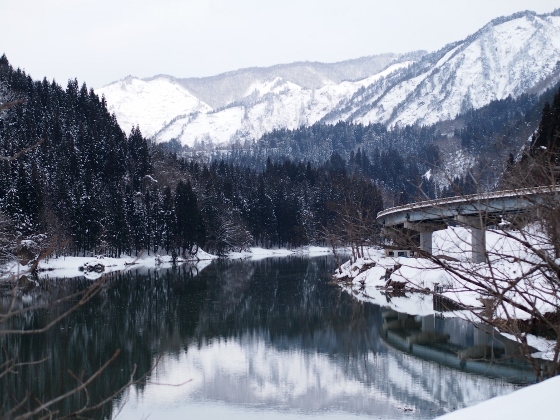 Although the cloud still hanged over, it was a beautiful scene with Tadami River reflected mountain views. 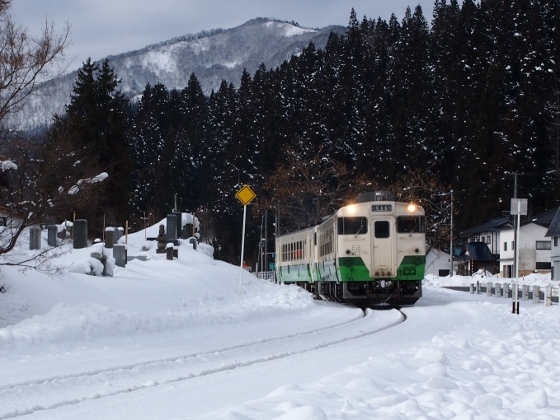 Tadami Line train bound for Aizuwakamatsu came at 7:26. I left the train at the next Aizumiyashita Station. 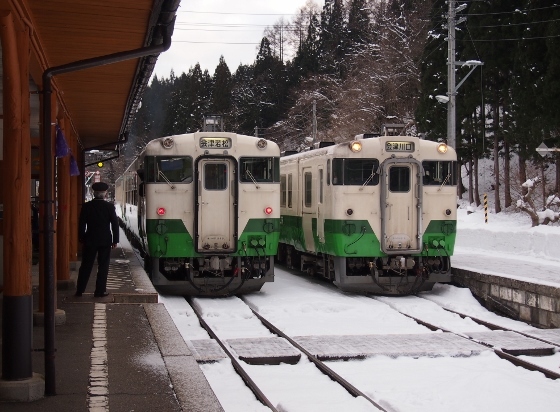 Since Tadami Line was a single line, both in and out bound trains passed each other at this station. 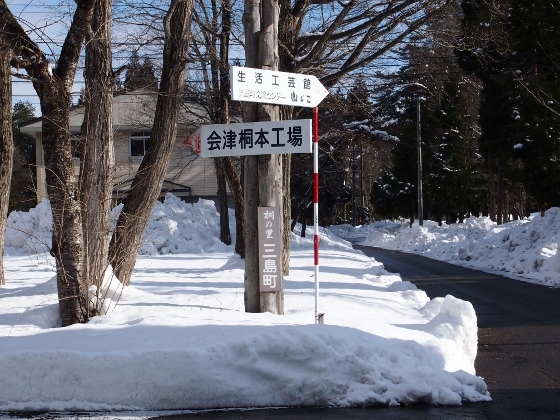 This was Aizumiyashita Station which was located in the center of Mishima Town. The above picture shows the main street and tourist center named "Calancolon". 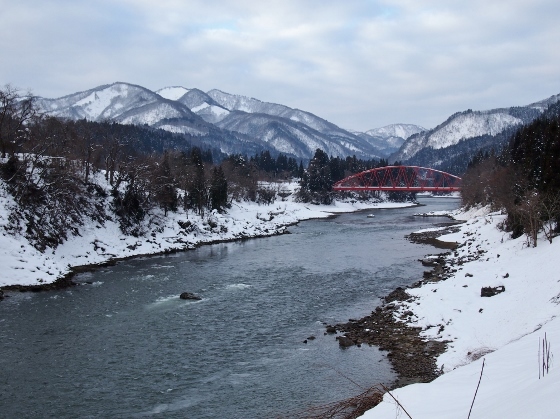 The pictures above show views of Tadami River when I walked along towards the next Aizunishikata Station. 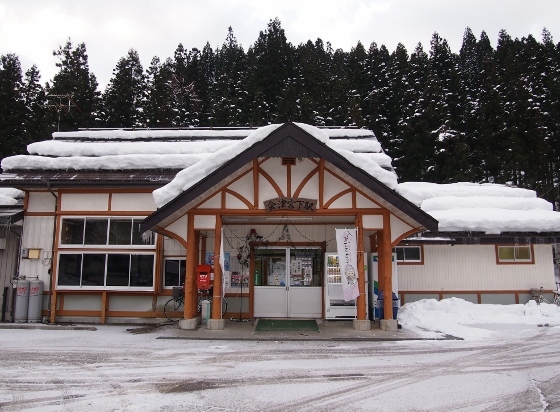 The picture shows Aizunishikata Station. 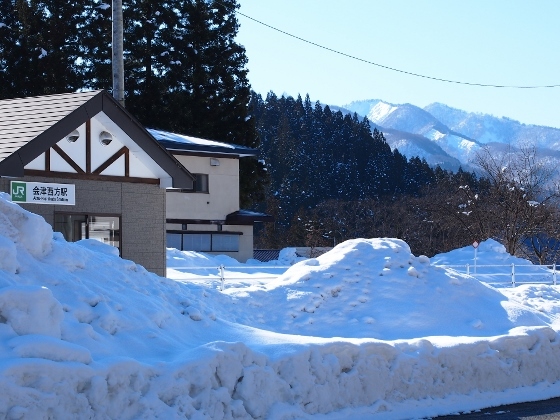 The clouds went away with calm wind thus it was a very good day for Aizu. 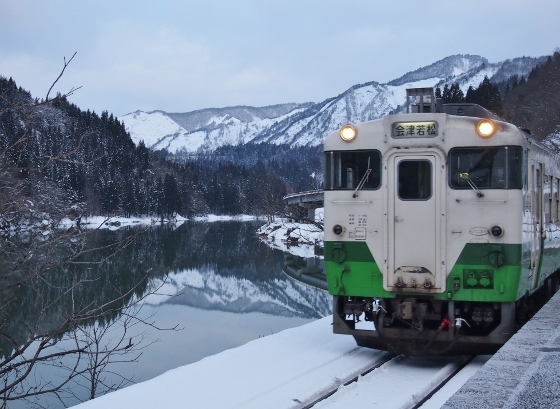 I met with Tadami Line trains which went through Mishima Town. 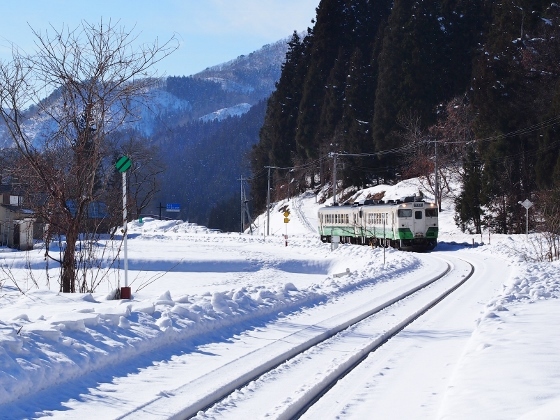 There was Seikatsukougeikan of Mishima Town about 1km up the road from Aizunishikata Station. 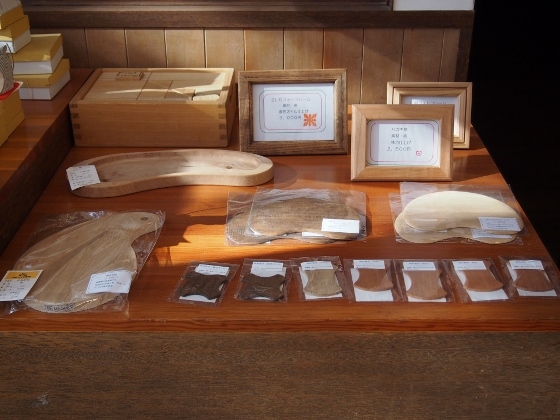 The picture above shows handmade products made of a kind of dried grass called Hiroro in winter. 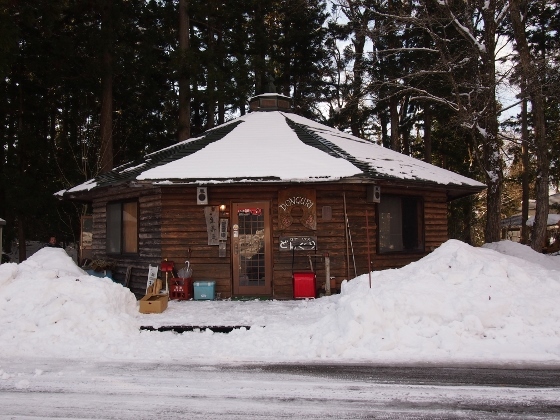 Crown Princess Masako also had purchased one before. 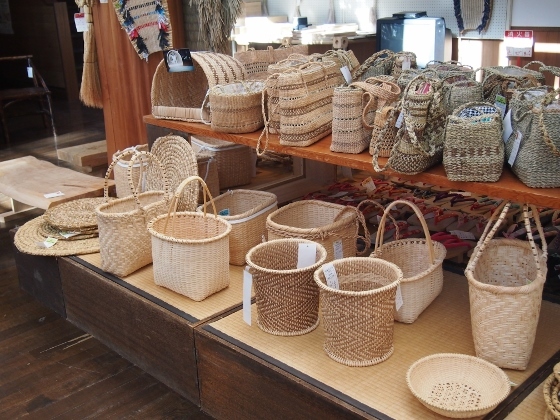 There were many products made from paulownia which was a specialty of Mishima Town. 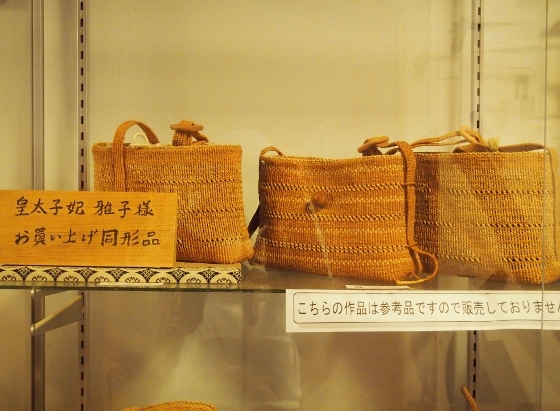 There were also many kinds of handmade products for daily life as shown in the picture above. 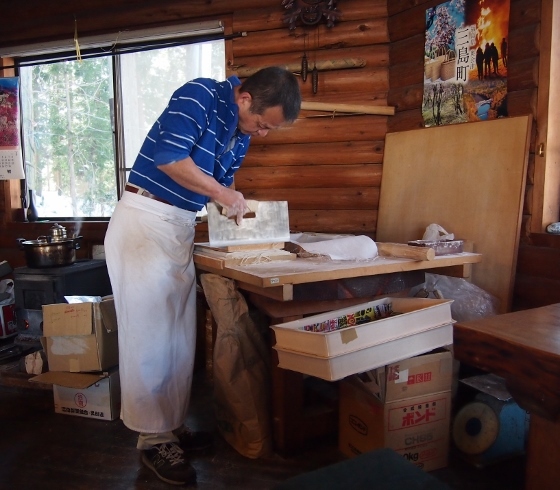 Minister of Economy Trade and Industry had designated them as Traditional handcraft products. 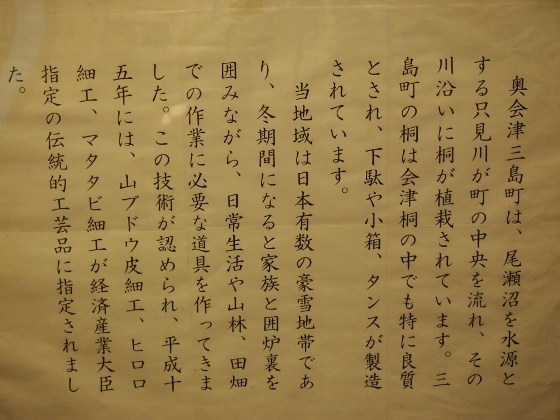 The picture explains us the soul of Mishima Town. 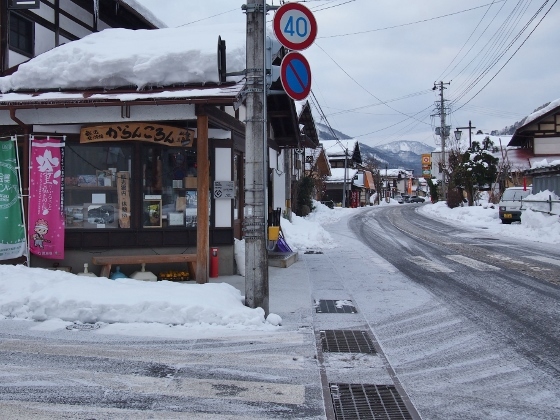 There was a cafe and soba restaurant called "Donguri" adjacent to Seikatsukougeikan. 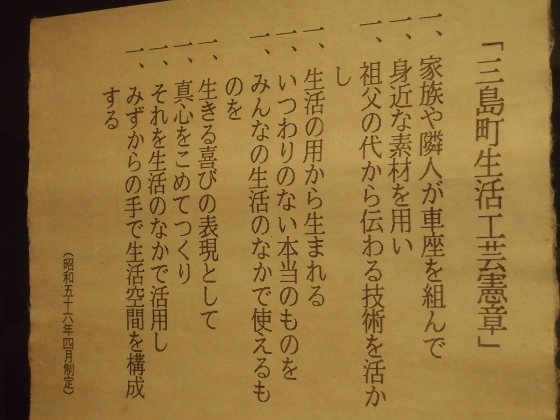 I ordered soba menu with local chicken and hot soup. 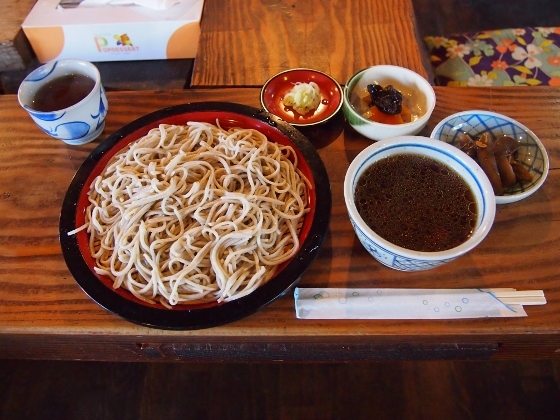 They served me with fresh soba just handmade by the master. 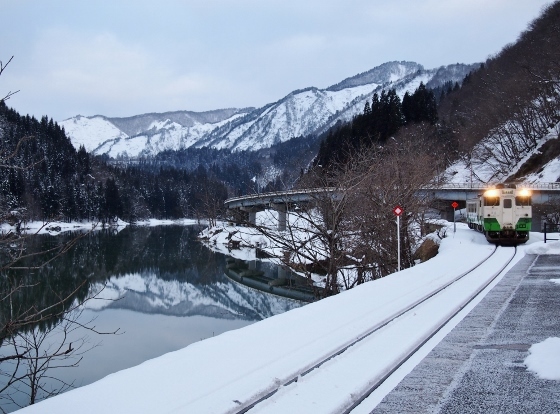 I returned to Aizunishikata Station and the picture above shows a Tadami Line train bound for Aizuwakamatsu came. 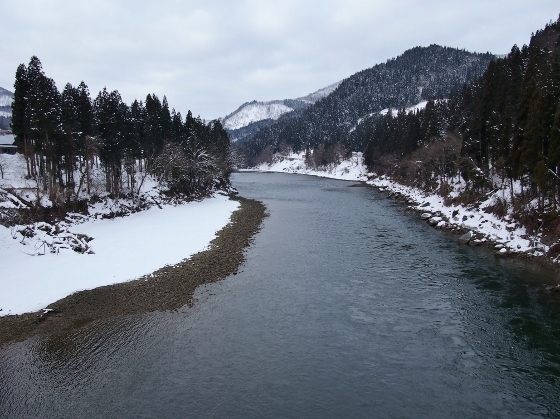 The picture above shows a scenic view of Tadami River seen from the train. 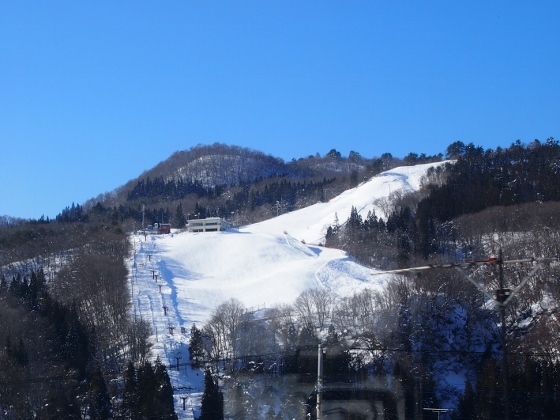 The picture shows Ski Slope of Yanaizuonsen at Yanaizu Town seen from the train. At last I could see a beautiful scene of Mt. 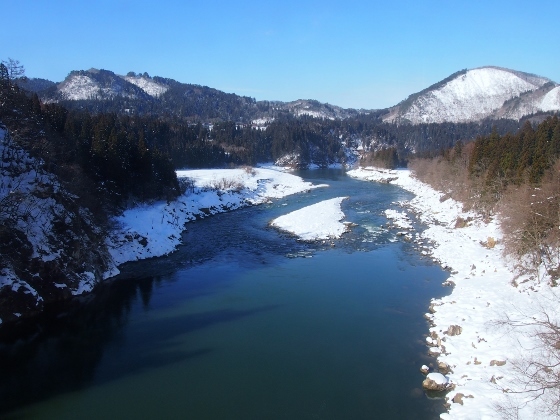 Bandaisan in a clear winter sky seen from a train of Ban-etsu West Line on the return route.